It’s all a formality from now until the postseason for the No. 3 Kansas Jayhawks (26-3, 14-2 Big 12). The Jayhawks wrapped up the Big 12 outright on Saturday night with a 76-66 win over the Texas Longhorns. 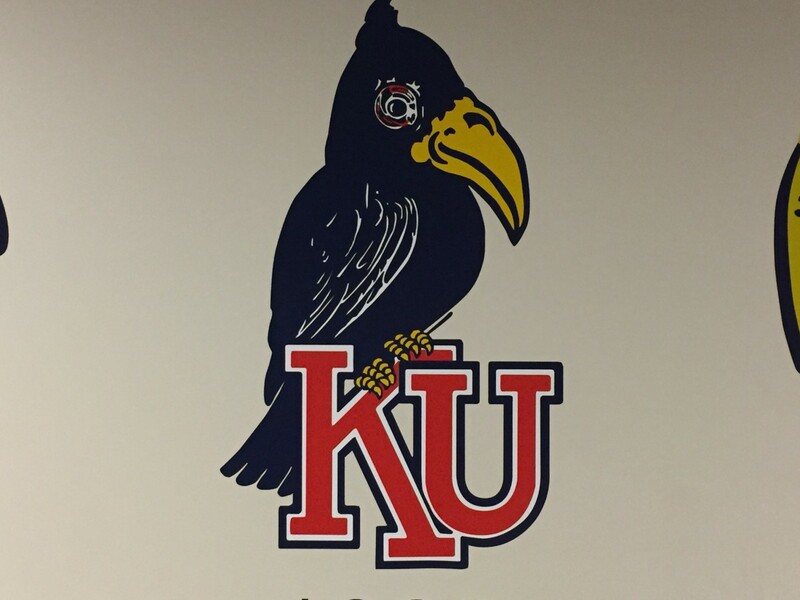 KU will now turn its focus to the Oklahoma Sooners (10-18, 4-11 Big 12). The Sooners are coming off a dominating performance over Kansas State on Saturday. They took down the Wildcats 81-51, essentially ending K-State’s tournament hopes. OU led the Jayhawks in the first half of the first meeting, but KU senior guard Frank Mason spearheaded a second half run for the Jayhawks and they ran away with a 81-70 win. Monday night will also be senior night for three KU seniors. 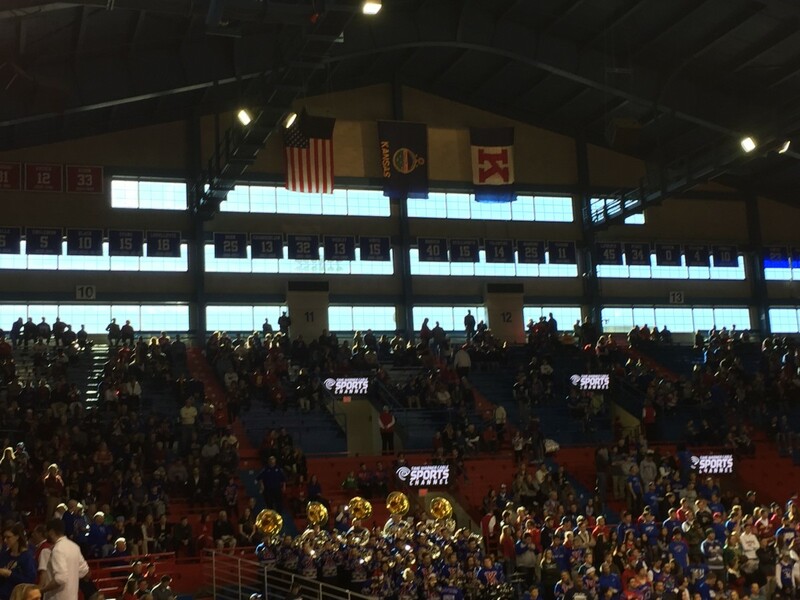 It will be the last game in Allen Fieldhouse for Mason, forward Landen Lucas and guard Tyler Self. Kansas is 219-10 at Allen Fieldhouse in the Bill Self era. Oklahoma is ranked 63rd on KenPom.com. Kansas is ranked 8th. On Saturday, junior forward Dwight Coleby had his best game as a Jayhawk. Coleby had 12 points, 4 rebounds and a block vs. Texas. Junior guard Devonte’ Graham has scored three two-point field goals in his last two games. Before that he had not had a two-point basket since the Iowa State game on February 4th. In his last three games at AFH, Mason is averaging 25.3 PPG and 4.6 APG. For the year Mason is averaging 20.2 PPG, 4.9 APG, 4.1 RPG and is shooting 50% from three-point land. They also are combined 142-33 overall. After winning 29 games and going to the Final Four last season, there was an expected drop off this season for Lon Kruger’s squad. They lost program cornerstones such as Buddy Hield, Isaiah Cousins and Ryan Spangler. Most weren’t expecting this type of drop off though. The Sooners are well on the outside looking in at the NCAA Tournament and are in danger of finishing last in the conference for the first time since the 1968-69 season. Leading scorer and captain Jordan Woodard has been hurt for a good portion of the season, and two weeks ago it was announced he would miss the rest of the season with a knee injury. Fans should be optimistic though, as this team is chalk full of young talent. Rashard Odomes and Kameron McGusty are OU’s second and third leading scorers, both of which are underclassmen. Christian James and Kristian Doolittle have both have had flashes of competence as well. OU does not have the results to show for it, but they’ve actually been a pretty competitive team in Big 12 play this season. In fact, 10 of OU’s 12 Big 12 losses have combined by an average of 6.1 points. They showed they can go on the road against the top dogs in the Big 12 and win as well. The Sooners went into Morgantown in January and knocked off West Virginia in overtime. Strength – Rebounding: Oklahoma is 2nd in the Big 12 in rebounding, just behind Kansas. The Sooners also rank 3rd in the Big 12 in rebounding %. Strength – Rim Protection: OU is third in the Big 12 and 41st nationally in blocked shots. Opponents are also shooting 54% at the rim this season, that ranks 32nd overall. Strength – Free Throw Shooting: The Sooners FT% is not all that great at 70% (184th nationally), but they rank in the top 100 in free throws made (16 PG) and attempted per game (22 PG). Weakness – Scoring Defense: The Sooners are giving up an average of 74.1 PPG this season. That ranks 214th in the nation and 9th in the Big 12. In the first matchup in Norman, Kansas hung 81 on OU. KU has the 16th best scoring offense in the country. Weakness – Transition Play: OU ranks 179th in opponents FG% in transition. On the offensive end, the Sooners rank 215th in FG% in transition. Look for Kansas to run on Oklahoma. Weakness – Fouling: Oklahoma is committing almost 20 fouls per game this year, that ranks 239th nationally. Weakness – Close Shot Offense: Don’t count on OU converting around the basket. They rank 320th in the country is FG% at the rim this season, as they shoot 54%. Weakness – Three-Point Shooting: The Sooners rank 8th in the Big 12 and 164th nationally in three-point percentage. They also make around just 6.5 threes per contest — 264th nationally. Weakness – Ball Security: Oklahoma will get sloppy with the ball. They commit 14.1 turnovers per game, which ranks 267th nationally. In the first matchup with KU they turned it over 14 times. Weakness – Three-Point Defense: Opponents are shooting 35% from the outside against the Sooners this season. OU is also surrendering 8.4 three-point makes a game this season — 292nd nationally. Kansas is ranks 7th in three-point shooting. In the first matchup in Norman, Odomes was 6-10 from the field for 13 points and 3 rebounds. Since Woodard went down with injury, he’s averaging 15 PPG — including a 29 point performance against Oklahoma State. 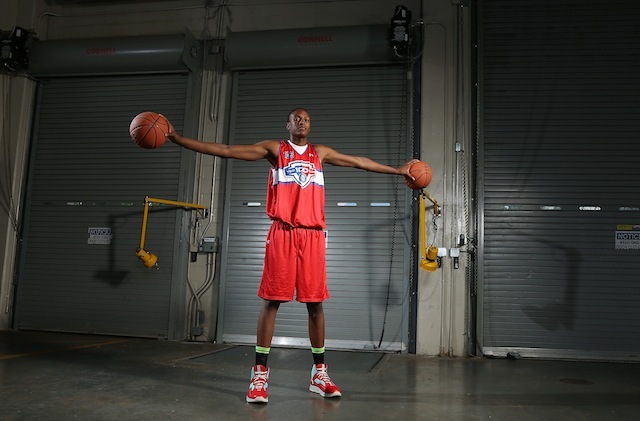 He does a great job of getting to the rim and converting. 73% of his shots this season have been at the time, and he’s made 56% of them. He’s will not be much of a concern from the outside, only 3% of his shots this season have been threes. KU fans perhaps remember Latin best for missing a critical free throw in last year’s triple overtime classic. He’s arguably OU’s best rebounder and low post threat. Latin is second on the Sooners in rebounding at 6.0 RPG. He’s almost automatic around the rim as well, as he shoots 73% at the rim this season. What has made Latin a little bit more dangerous dow on the block is that he’s drastically improved his free throw shooting. Last season he was around 54% from the line, this year he’s all the way up to 72%. In the previous meeting he had 8 points and 11 rebounds. McGusty is one of the future faces of this OU program. He’s the teams third leading scorer at 10.4 PPG, just a tick behind Odomes for second. In Big 12 play he’s been even better as he’s averaging 13.9 PPG, including two 20+ point performances against Kansas State, Oklahoma State and Texas. McGusty is a pretty balanced player, as he does a good job of shooting the outside shot and putting the ball on the floor and getting to the hole. 30% of his shots have come at the rim this year and 38% of his shots have been threes. He went for 13 points on 5-13 shooting in the first matchup with KU. Get Out and Run: Oklahoma struggles limiting and defending transistion opportunities. With a couple of young guards playing in Allen Fieldhouse for the first time, expect some turnovers that will lead to run outs. We saw it in the first half against Texas on Saturday. Make Outside Shots: I might just make this a permanent fixture in the Keys to Victory. The three ball is such an important aspect to KU’s success. OU doesn’t defend the three well and Kansas shoots it well, so that should play into KU’s hand. It would be nice to see Svi and Graham get cooking from the outside. KU will need those two in March. Stay Focused: The Big 12 is wrapped up, and most likely so is the No.1 seed in the Midwest Region, so it can be very easy to take these last two games lightly, but KU needs to prevent that from happening. At times in the second half on Saturday vs. Texas, KU looked flat rather than stepping on their throat. They need to finish out these last two games strong and not let any rust or bad habits form. Oklahoma doesn’t take care of the ball, and they don’t shoot the outside shot all too well. That isn’t exactly a recipe for success in Allen Fieldhouse as a road team. They are also without their veteran leader in Jordan Woodard. It’s hard to see this group of youngsters coming into AFH and putting up a fight. Its senior night, specifically its Frank Mason’s senior night. Mason, nor his teammates, will not let anything catastrophic from happening. Expect a huge night from Mason, as he caps off his career at Allen Fieldhouse. We saw Dwight Coleby get some valuable minutes against Texas, if KU can build a lead look for him and Carlton Bragg to get some extended minutes. Lastly, KU will have a sizable lead in the second half, which will lead to Tyler Self getting some minutes. He will get a bucket in his last home game. 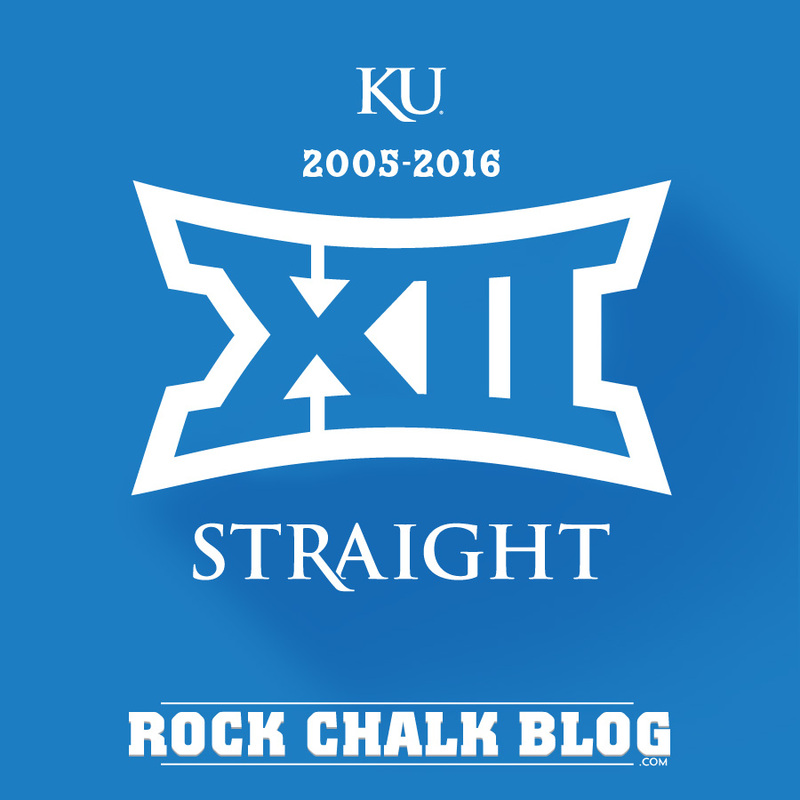 Bobby Norell is a contributor for Rock Chalk Blog. View his archive, or follow him on Twitter.